BURIEN, Wash. – May 25, 2017 – PRLog — Phytelligence, an agricultural biotechnology company revolutionizing the way food crops are grown, today announced a strategic partnership with the Association for the Development of Hop Agronomy (ADHA). The partnership allows the ADHA to utilize Phytelligence’s repository program to protect newly-developed hop varieties in a sterile and safe environment. Phytelligence’s proprietary micropropagation technology, MultiPHY™ will be leveraged in the relationship to rapidly propagate large quantities of confirmed true to type, virus free hop plants. The Association for the Development of Hop Agronomy is comprised of hop growers in Washington, Oregon, and Idaho who are dedicated to reinventing hop-growing practices with a goal of developing varieties and management practices that are durable, broadly adapted, and sustainable. 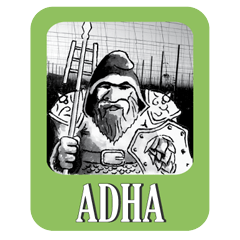 ADHA invests in research and development of new hop production techniques and varieties that can be used in both standard and low trellis production, much like fruit trees or grapes currently. Phytelligence will assist the ADHA in their mission to promote true to type high-quality hop varieties by utilizing their virus screening, repository, and rapid propagation capabilities. The Phytelligence MultiPHY™ process also aids the ADHA in achieving their goal of environmental sustainability by reducing the amount of water used in the growth-to-delivery process. The Association for the Development of Hop Agronomy is a group dedicated to reinventing growing practices to adapt to the world in which we live. Greater awareness of our constantly changing environment and our impact upon it necessitates more responsible stewardship of our land. We believe the legacy left behind when we are done farming should not be negative. The ADHA is dedicated to making a difference. We are working to find solutions to the challenges presented to farmers by the global nature of our world in the 21st century. Phytelligence (http://www.phytelligence.com) is an agricultural biotechnology company that is revolutionizing food crops. Utilizing its proprietary growing techniques to provide superior quality crops, Phytelligence enables higher grower profit by increasing speed to harvest while reducing input costs. Phytelligence provides additional value to food crop growers and plant breeders through the application of advanced genetics enabling delivery of accurate plants, disease screening, plant repository services, securing of intellectual property, and the ability to co-develop new varieties of food crops. In addition, Phytelligence has a growing pipeline of biological and compound solutions aimed at improving returns throughout the food crop value chain. Phytelligence was founded in 2012 by Dr. Amit Dhingra, Associate Professor of Horticulture Genomics and Biotechnology Research laboratory at Washington State University. Phytelligence is headquartered in Seattle with locations in Pullman, Washington and Portland, Oregon. In 2016, Phytelligence expanded their footprint to include an 8-acre Seattle-based greenhouse space and a Portland-based tissue culture production facility. Currently, Phytelligence has 67 employees and continues to grow.